14 News took a look into the past, and the future of the shopping center. 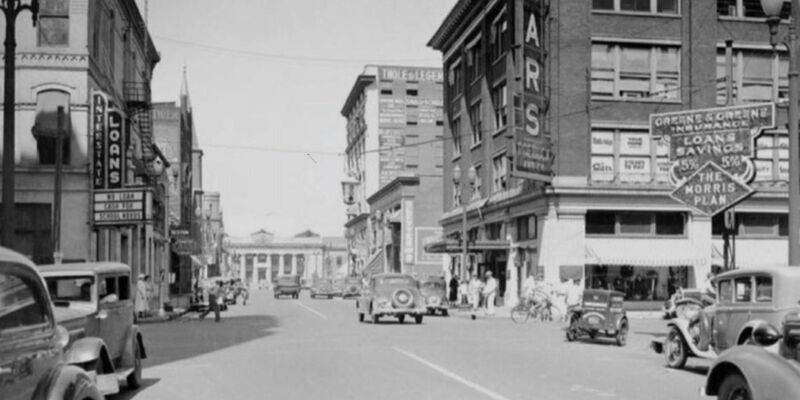 93 years ago, Sears opened its first free-standing retail store in the country on the corner of 4th & Sycamore in downtown Evansville. William McCurdy owned the building. He was a friend of Richard Sears and Alvah Roebuck. "It's a piece of Evansville's history," Kelley Coures said. He's the executive director of the Department of Metropolitan Development and a local history guru. "It was empty," Coures continued. "McCurdy wanted Sears to get a retail store here. So, he lobbied heavily to get that store, and he did in 1925." Fast forward to 1963. As Evansville grew, a second Sears location became an anchor at the new Washington Square Mall which was the city's first indoor shopping center. A third location opened up on First Avenue at North Park. "When I first started working downtown, which was in the late 1970s, we used to go to Sears and get hot peanuts on Friday night," Coures laughed. "They had the candy counter there on Sycamore Street." Business was booming for both locations, especially at the mall. Out-of-towners came from all over the region to shop. Five decades later, and Washington Square isn't what it used to be, but history seems to repeat itself. With e-commerce taking over big box stores, Sears is out in April, and new hopes are in for the old mall. Property Manager Joe Keifer weighed in on the closing. "You look at the demographics," Keifer explained, "the traffic count on Green River Road and Washington, and how well Schnucks is performing and Hacienda. This is a good location." Keifer said there is a plan to bring in new tenants. He said the landscape facade of and around the structure will also change. Copyright 2017. WFIE. All rights reserved.